As an afternoon tea enthusiast, I could not think of a more perfect hen party feature. Today, I hope to inspire you with the best and quirkiest afternoon teas in London, which would be perfect for hen parties, bridal showers, bridesmaid gatherings, bridal meetings or other wedding treats. 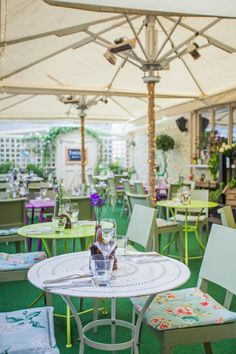 This traditional British Brasserie hosts a gorgeous Secret Garden and a traditional afternoon tea menu at £16.50 per person complete with sandwiches, scones, Victoria sponge and fruit tea biscuits. This charming private tea party setting is perfect for any bridal celebration and is finished with beautiful vintage china, sandwiches, scones and cupcakes. This non-traditional but fun afternoon tea is priced at £17 and features a fizzy bellini, mini burger, mini southern fried chicken, tiny fries, mini vanilla milkshake and is accompanied with homemade infused iced teas. This is followed by a miniature doughnut, cheesecake and a brownie. Paying homage to Anna, The Duchess of Bedford who is associated with afternoon tea, this traditional tea is £35.50 per person and takes place in the Park Room. 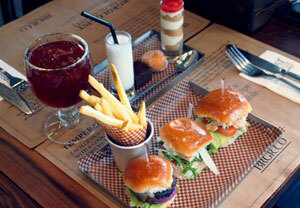 The menu is comprised of sandwiches, scones, cakes and a selection of yummy jams. The wonderful art deco Palm Court is a glamorous setting to have afternoon tea. At £41 per person, the menu features a glass of Champagne, a selection of loose leaf teas, French pastries, delicate finger sandwiches, including roast beef, cucumber, smoked salmon, egg creme fraiche and chicken. Scones are also served with clotted cream and preserves. This oozes glitz and glam! This artistic afternoon tea features a traditional British afternoon tea menu. Priced at £15.50 per person, the fabulous selection of Tea Palace teas are enhanced with sandwiches, scones, strawberry cream cupcakes, chocolate tarts and macarons. Already featured on Teatime Tuesdays, this unique experience would be perfect for a bridal gathering. Taking place on a London double decker bus, the tour takes you on an afternoon tea tour of London and is priced at £45 per person. During the tour, you are able to enjoy a fabulous selection of delights, including mini quiche, sandwiches, mini cupcakes, sweet pastries, macarons and scones. This award winning afternoon tea served in the lounge is priced at £62.50 and contains a highly sophisticated selection of sandwiches and pastries. A traditional afternoon tea option is available at £42.50 and a ‘Summer Season’ option is available during warmer months overlooking the gardens. The striking decor of the Buddha Bar is an excellent setting for this Asian inspired afternoon tea. It features Vietnamese spring rolls, prawn wontons, duck hoisin steamed buns, chilli chocolate mousse, passion fruit and mango tart and green tea cheese cake. Priced at £25 per person, this pan Asian restaurant is vibrant and offers an east meets west afternoon tea menu. Already featured on *Teatime Tuesdays*, this is the pinnacle of a luxurious and glamorous afternoon tea is priced at £61 per person. Taking place in the art deco inspired foyer with musical accompaniment, the meu is just divine: an array of finger sandwiches, apple and raisin scones complete with Marco Polo jelly, a selection of delicious pastries and a choice of twenty-four teas. A classic afternoon tea is available at £50 per person. Celebrating the classic story, this fun afternoon tea features a golden chocolate egg filled with vanilla and mango, chocolate caramel milk, blueberry brioche, eton mess and candy floss. Priced at £34.50 per person, the menu also hosts traditional finger sandwiches and scones. A chocolate infused afternoon tea menu featuring bespoke chocolate and caramel teas, chocolate scones and chocolate petit fours. Savoury sandwiches and a glass of pink champagne finish off this £39 menu. The Mayfair Hotel is a boutique hotel and Flemings, the restaurant that serves afternoon tea, is flamboyant in its style. In the style of Andy Warhol’s pop art, this colourful afternoon tea is filled with chocolate delights. Priced at £36 per person, the scones, cupcakes and fancies are all chocolate themed and there are even chocolate themed teas. Guaranteed for absolute chocolate heaven! This fabulous afternoon tea experience enables you to enjoy afternoon tea delights with finger sandwiches, savoury and fruit scones and miniature cakes, whilst completing one of their amazing activities. These include origami wedding bouquets, flower headbands, hair fascinators, 1920’s headbands, fabric corsages, pearl bracelets and crafty hen party sashes. This would be the perfect hen party combination! This award-winning afternoon tea offers scrummy finger sandwiches, scones and pastries priced at £34.50. Taking place in the Garden Room, there is a charming garden theme with bird cookies, fairy cakes adorned with sugar flowers and fruit tarts. A glamorous afternoon tea for the fashionista, which celebrates powerful female icons including Coco Chanel, Lady Gaga, The Queen and Vivienne Westwood. The tea stand is heel shaped and features Lady Gaga’s meat dress as a red velvet cake, Coco Chanel’s infamous black dress and pearls with a chocolate cake and Vivienne Westwood’s red hair represented by candyfloss and completed with tartan. Priced at £27.50, this themed tea runs until the end of April. A traditional afternoon tea in a tea room that was opened by Her Majesty, The Queen herself! This quintessentially British afternoon tea is served in one of Britain’s leading luxury department stores – Fortnum and Mason. There is a vast menu to choose from hosting a wonderful selection of finger sandwiches, scones, cakes, pastries, accompaniments and their world famous tea selection. The various menus are individually priced starting from £40 per person. A pretty afternoon tea shop that makes the most fabulous selection of cakes, cupcakes and an array of dietary specific cakes, so that your dietary requirements do not restrict your cake eating. 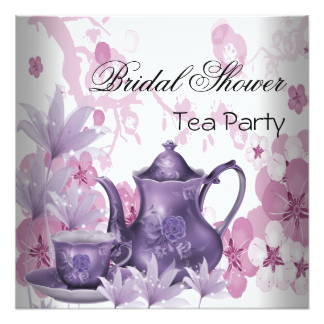 The boutique shop can be hired out for tea parties from £26 per person. They also offer a fabulous range of activities, including the making of fascinators, feathered headpieces, bunting, chocolate truffles, vintage cake stands and vintage jewellery. They also host knitting, sewing, crocheting workshops as well as cupcake decorating classes. A perfect spot for bridal or hen gatherings. This wonderful vintage 1920’s tea room is full of glitz and glam and specialises in private, elegant afternoon teas. There are a selection of menus to choose from – the Betty Blythe Afternoon Tea at £22, a Traditional Victorian Afternoon Tea at £26 and the Glamorous Great Gatsby Afternoon Tea at £35 per person. They enhance this wonderful experience with cocktails and a vintage dressing up box. Just imagine the photographs! This is an oriental twist on afternoon tea in a lovely setting, priced at £30 per person. The wakame seaweed brown bread open sandwiches, handmade dim sum, collection of sweets and patisserie items is complete with the marvellous selection of Chinese and Japanese teas. The traditional Gongfu Cha tea ceremony make this a unique and memorable experience for something that little bit different. This unique and lavish afternoon tea menu has lots of surprises, including a wild boar, crackling, pickled apple and mustard bun, a Mary Rose prawn cocktail, a goat’s cheese puff and wine jelly, a seasonal flower pot and an absinthe green fairy macaron. Afternoon tea is served in the opulent Oscar Wilde Bar and prices start from £42. This Alice in Wonderland inspired afternoon tea is whimsical and quirky and prices start from £38. Menus presented in vintage books, riddle napkin rings and crockery adorned with kings, queens, clocks, zebras and birds provide all of the small touches needed to recreate a Mad Hatters Tea Party. Sandwiches are served on a range of breads, scones are freshly baked and the sweet delicacies are just wonderful: carrot merengue served on a bed of pea shoots, strawberry and cream marshmallow mushrooms, tick tock victoria sponge, melting mango cheesecake and green tea and white chocolate mousse served in a chocolate tea cup. The experience is finished off with a ‘Drink Me’ potion full of fun. Voted Tatler’s ‘Restaurant of the Year’, this elegant afternoon tea menu features wonderfully thought-out sandwiches, scones and a selection of macarons with a choice of loose leaf teas. Priced at £19.95, this can be enhanced with the ‘Hush High Tea’ for £26.95 with a Gin cocktail. The Gallery at Sketch which hosts afternoon tea has been recently transformed by British artist, David Shrigley. The restaurant is now lined with works of art and hosts a delicious menu, including an almond and berry tartlet, pistachio macarons, coffee eclairs, mousse marshmallows, raspberry meringues and quails egg caviar. This non-traditional afternoon tea is Moroccan inspired and priced at £22. The menu is infused with Moroccan influences such as peppermint tea, Zaalouk & Mechouia on toast and a Moroccan chicken wrap. They do also offer a selection of more traditional British afternoon tea delicacies – scones, pistachio macarons and chocolate brownies. Modern, innovative British cuisine is at the heart of the menu and this is obviously an alternative afternoon tea menu. Starting at £24.50 per person, four season/theme inspired desserts are presented with coordinating cocktails whilst you take in the fabulous views over London. Served in the simply gorgeous Rosebery room, the £48 Paddington themed afternoon tea is served complete with marmalade sandwiches, a honey and pear Paddington pot and banana and chocolate teddy brownies. The infamous Parisian patisserie Laduree serves afternoon tea at Britain’s most lavish and opulent department store, Harrods. There are a wide range of teas and cakes to choose from the a la carte menu or the ‘L’heure du the’ menu offers a set menu of sandwiches, mini viennoiseries, pastries and the infamous colourful Laduree macarons with 2 choices per afternoon tea course. This is priced at £27.50. Served in a traditional picnic hamper, there are a vast array of sandwiches and traditional scones. The sweet delights include strawberry jam roly poly, lemon meringue tartlet, raspberry victoria sponge, chocolate cake and strawberries and cream. Priced at £96 for two people. This is the ultimate high fashion, glamorous and stylish afternoon tea. All of the cakes are fashion themed and are regularly updated to keep in line with the Autumn/Winter or Spring/Summer trends. They are modelled on actual items from an array of the best fashion designers in the world. Taking place in the sophisticated Caramel Room, afternoon tea prices start from £51. This traditional afternoon tea celebrates Her Majesty’s favourite afternoon tea treats, including Darjeeling, the favoured tea of Buckingham Palace. The menu hosts British classics such as smoked salmon and cucumber sandwiches, scones, and a wonderful array of sweet delicacies, including chocolate eclairs, shortbread, ginger cupcakes and chocolate and cherry cake. This afternoon tea prides itself on its relaxing setting to enjoy the selection of specialist teas, sandwiches, scones and pastries and is priced at £18 per person. At £25 per person, the traditional afternoon tea menu features ham and mustard, cucumber and cream cheese and smoked salmon sandwiches alongside the traditional scones. A choice of loose leaf teas are available and finished off with a passion fruit macaron, vanilla meringue, victoria sponge and a chocolate cup salted caramel cake. At £32.50 per person, this science inspired afternoon tea oozes geek chic! The menu features science themed pastries, including a mango mousse volcano, chocolate dinosaur, raspberry cake planet and pistachio macaron with cherry sauce pipette. This super fun tea only runs until 6th February though. The healthy afternoon tea for the health conscious bride is available at Browns for £41 but they also do the classic afternoon tea also. This health inspired menu features rye bread, gelatine and sugar free jelly, fruit sorbet, fruit skewers with natural yoghurt and honey and a flourless chocolate cake. A fantastic healthy alternative! For something memorable, City Cruises offer a ninety minute London city river cruise along the Thames. Whilst enjoying the sights, you will be provided with ample supplies of tea, finger sandwiches, cakes and traditional scones with cream. Cruise tickets are priced at £25 and depart from and return to Tower Pier. Have afternoon tea in this modern but iconic London building. Afternoon tea takes place in Aqua Shard on the 31st floor with fantastic views over London. The classic afternoon tea offers vanilla, raisin and orange blossom scones served with cream and a selection of quirky jams, including lime and early grey and raspberry with lemon thyme. Prices start from £34.50 and what a memorable way to enjoy afternoon tea. This iconic hotel is famous for its traditional afternoon tea which is served in the beautiful Thames Foyer. The natural light from the glass dome and the winter garden gazebo hosting a pianist makes for a delightful afternoon tea experience. Delicious sandwiches, scones, cakes and pastries are prepared by the team of chefs along with the wide array of loose leaf and flowering teas which all combined has won The Savoy many awards for its afternoon tea. Prices start from £50. At £31.50 per person, this unique afternoon tea experience for all those that love Gin is served in the Berry lounge. A signature Gin cocktail compliments a traditional afternoon tea menu of tea, scones, sandwiches and cakes. There is non-alcoholic option available at £24.50 per person. The spectacular Secret Garden hosts afternoon tea from May through till September in the magical lush green surroundings. Traditional afternoon teas, priced at £28 include teas, sandwiches, scones and a selection of seasonal pastries. The glamorous Palm Court hosts this traditional afternoon tea. Staff serve the Wedgwood speciality teas in the bespoke Langham Rose wedgwood china.There are afternoon tea shaped delicacies which ooze prettiness! The world famous afternoon tea set in the exquisite Palm Court is simply stunning. The ornate decor of the room is breathtaking and is filled with gold statues, sparkling chandeliers and pretty flowers. The dress code is formal and is in keeping with the elegant ambiance of the room. The traditional afternoon tea menu starts from £50 and includes the classic and delicious array of sandwiches, scones, cakes and pastries. A sophisticated, elegant and high class afternoon tea! This infamous glamorous hotel serves afternoon tea in the iconic lobby with prices starting from £51. The menu includes Champagne, loose leaf teas, a selection of sophisticated open sandwiches including prawns on brioche toast and cucumber relish on melba toast along with scones and pastries. The traditional cake trolley is also filled with delectable delights. This hidden gem, above the famous Coach and Horses pub is full of vintage charm. Homemade finger sandwiches, cakes, scones, fairy cakes and jams are served in wonderful vintage china and accompanied by 1940’s jazz and swing records on a gramophone. This would be an utterly charming venue for a vintage inspired hen party or bridal shower. Taking a traditional afternoon tea complete with sandwiches, scones and French pastries in the spectacular winter garden is absolutely breathtaking and is priced at £40 per person. At £34.50 per person, this traditional menu features sandwiches, scones, pastries, cupcakes, fruit cake and teas. The lush garden room is a marvellous setting for afternoon tea and they also host a vegetarian and gluten free menu. Hopefully you are now feeling afternoon tea bridal inspired! So lovely! Nothing better than afternoon tea. Thank you – I completely agree! You have a fantastic blog filled with fabulous recipes!